Tibet, a vast trans-Himalayan region, is the highest plateau on earth and it's not an exaggeration when it's called the "Roof of the World". 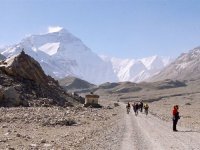 The scope of travel to Tibet is unlimited! 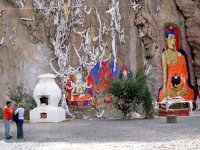 You may visit just Lhasa for the glimpses of this mystic land or cover the major Buddhist monasteries and attractions in Central Tibet, take a road trip to the foot of mighty Everest or go much further west to sacred Lake Manasarovara and Mount Kailash in Ngari region or even go off-the-road and hike or trek in the wilderness. 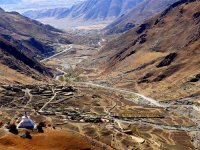 Travel to Tibet takes you to ancient Buddhist monasteries, palaces, ruins of the hermitages, high passes with flickering prayer flags, spectacular views of the vast plateau and the peaks of the Himalayan mountains, glittering turquoise green lakes. There are no mandatory vaccinations required for entry into Tibet. However, we highly recommend that you update your routine vaccines and consult with your physician for any kinds of preventive measures or to discuss your existing illness and know if it is completely safe for you to travel.If you have heart and lung issues, you surely need your doctor's clearance. 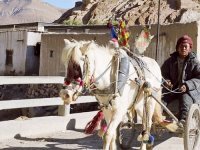 Independent traveling in Tibet is not allowed. You need to work with a travel company such as Far & High to obtain entry permit for Tibet and for this reason, Traveling to Tibet sounds like a complicated process but we will make it very simple for you. Whether you go on one of scheduled tours or take a private customized itinerary, our tour specialist will walk you through the process. As Tibet is part of China, obviously the currency used here is Chinese "Yuan" or "Kuai"- the officially called Renminbi (RMB) which means "People's money". It's designated by a “Y.” The banknotes come in the denomination of 1, 2, 5, 10, 20, 50 and 100 where the largest denomination used in daily life is the 100 Yuan note. In fact, the Tibetan climate is not as harsh as many people imagine it to be. 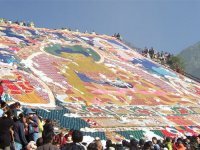 It is suitable for travel to Tibet from April to the beginning of November, and the best time is August and September. Sun radiation is extremely strong in Tibet. The sunlight in Lhasa is so intense that the city is called Sun City. Tibet is an autonomous region of China and so Chinese government regulates tourism in Tibet in order to minimize the negative effects of tourism upon its fragile environment, culture and politics. 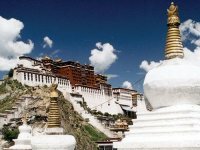 All visitors to Tibet must travel with an authorized tour operator or its overseas representatives with a prepaid and pre-planned itinerary; equipped with necessary permits and Chinese visa. Currently Air China and Sichuan Air each operates daily one flight between Lhasa and Kathmandu.Howevery, they reduce the flight frequency during the winter months of December, January, February and March. The flight duration is one hour thirty minutes and offers spectacular views of snow capped mountains, including Mount Everest. 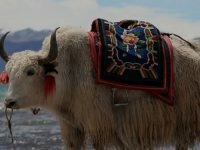 Its good to have some knowledge about Tibetan customs, ethics and etiquette beforehand. Make sure that you do not step on threshold when you enter a house or a tent.When you call or address somebody by name, please add "la" after the name for politeness. It’s an equivalent of "Mr." or "Sir" and “madam”.When you are asked to sit down, please cross your legs. Do not stretch your legs towards others. 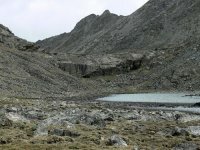 What is a High Altitude Sickness? 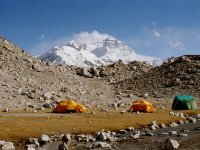 High altitude sickness is also called Acute Mountain Sickness (AMS). The following are the preliminary symptoms likely to occur. But the first four symptoms are likely to be experienced by any traveler during first few days in a high altitude and later you will get acclimatized, if you follow the precautionary measure. Domestic flights of China allow only 20 kilograms in checked-in baggage and a piece of carry-on luggage on the plane. You would like to make a light backpack of your valuable belongings like camera, wallet, passports etc while other stuffs like clothing, equipments will go in the checked in baggage. If you are trekking, you are recommended to use a heavy-duty duffel bag. The bag should be comfortable and tough as there will frequent loading and unloading and there is chance that your luggage is dragged, thrown around and stuffed.